Seems like we are seeing some major deflation in the caldera floor? 15m is the largest measured in Iceland since Askja in 1873/4. that's how I read that too, whether it's a consequence of what might be called a flank eruption spewing out partly magma from Bardarbunga main pool or caused by general rifting quakes i can't tell. someone calculated that Bardarbunga Main would need a 6,5M quake to erupt, now there's been so many 5M quakes round the caldera not many more are needed. Might be going off. screen grab from youtube live channel of MILA camera with names of places as I see it, if the main volcano goes off it will be visible : (name of Bardarbunga should be more to the right, though, attaching another image where the line between glacier and air shows better i hope) Lava flow has reached the channel of Jökulsa a Fjöllum (the second longest river in Iceland), so steam levels in the Mila Cameras will be considerable, too bad. There are no cameras in the other side at least to my knowledge so Bardarbunga itself is obscured from public view. Lavaflow has blocked so much of the river a shallow lake has started to form. Sulfate clouds reached the west coast of Norway yesterday and could be here this evening according to DailyKos Icelandic repoteress Rei. Part of the fissure ended erupting, with the result that the remaining vents went up higher than before. Still quakes around the main volcano caldera. 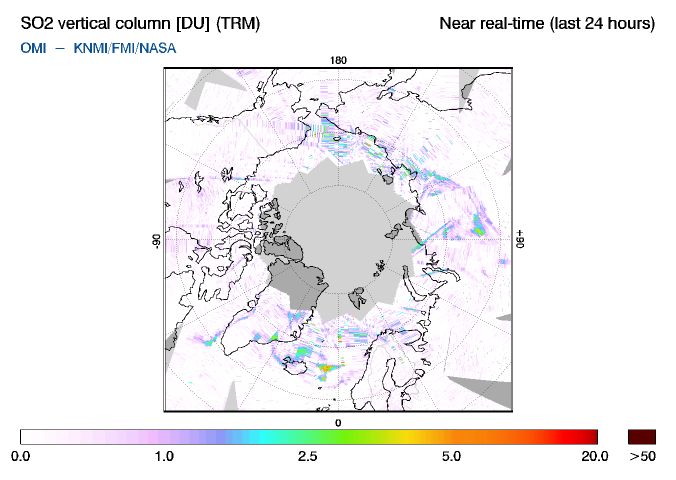 Of the sulfates, if there's a major eruption that throws a large amount to the arctic atmosphere for this winter, does this a) cool the arctic b) nothing much to the temperatures c) warm the arctic ? Each I think is possible but which one is it? I think a major eruption will throw more than just sulphates into the atmosphere, so until we know the exact gas mix, it's difficult to tell what the net effect of it will be. PS: I can't smell any sulphates yet, but it's probably very diluted by now. Fairly few news on the volcano this morning, the caldera has kept sinking (now @-20m something) and the lava flow has about reached the Valdalda hill where the MILA cameras (of icelandic broadcom operator) are located blocking (it looks like) the small ditch running under the hill, Jökulsa a Fjöllum still flowing, though 20 km downstream the temperature shot up by 2C yesterday, this could also be weather related, the river isn't here very big yet, it's wide though flowing through sandy area. One estimate for the total blockage of the river is two days from now if the eruption continues like it has been. Then there could be even more fog, smog, and what not seen in volcanic setting obscuring views. Some data would indicate the eruption is at least partially fed by mantle (elemental composition holds too much magnesium for it to be shallower, say some). Bardarbunga quakes (likely connected to the sinking caldera floor) have continued as before. volcano has continued to erupt as it has been, lava field (own estimate) yesterday @29km2, sulfate safety limits topped by ~8* on locations, clouds with sulfates mostly gone towards Barents sea. This might start to effect temperatures pretty far and wide. Lava analysis would point to a deeper reservoir than that of Bardarbunga, but it's difficult to tell since the bottom of Bardarbunga reservoir hasn't been attempted to measure before. This could go on for quite a while, some are saying this could be a whole new volcano starting to form. A bit dated data: height of lava field, 90m near the lava fountains, 50 meters on the valley it's been following, now starting to flow out of this to new direction, 5-10 meters on the edges of flows. The nearby river is still flowing. The foggy weather has prevented visual observations for couple of days but now the weather is clearing so some new info f.e. of the ice bowls in Vatnajökull outlet glacier could become available today. SO2 from this (Holuhraun) fissure/shield volcano-forming eruption has now circled the Arctic weather system (https://farm4.staticflickr.com/3910/15365152402_656e8781c2_o.png), with lava flow @c.40 km2 over flowing the intial flow to NW and SE side, speeding the hotter lava a bit over flatter land nearer the vents (3 the last time I checked). The straightest 'road' to near the vents has been cut by lava, it's uncertain how to get near now. Weather's bad to horrible again considering making observations, so no images of the area for a while again. I have to admit there has been a couple of days here the air has been weird. Caldera of Bardarbunga started sinking again after a brief pause. No signs of the eruption getting any smaller. Thanks for updates posted here, we have been following this with great interest & the images from the eruption are most spectacular. is good for showing the SO2, you can set overlays for all sorts of other things too. PS. sorry cant manage to insert this as a hyperlink. I followed Raenor Shine's steer to Volcano Cafe soon after this eruption started. These guys are to volcanology what this site is to the Arctic Ice; interested and informed observers following events minute by minute. You need to open the latest story and go to the comments thread to follow the debate. It's fascinating and full of information and interpretation with some great presentations of the data. Look at the regularly updated animated 3D maps of earthquakes in the area for a super illustration of what's going on. Right now the caldera floor under the ice is dropping and there remains a chance of a major explosive eruption that would have real consequences for the ice and weather in the NH. Meanwhile the fissure eruption continues unabated. Sulphur spikes as high as 21,000 micrograms per cubic metre were measured last weekend in the town of Höfn; the World Health Organization recommends no more than 500 micrograms per cubic metre for a 10-minute exposure. ...the plume is not high enough to penetrate the stratosphere and cause widespread climate perturbations. But the million tonnes of sulphur emitted so far are an unprecedented experiment in testing the effects of toxic-gas exposure, Barsotti says. Great summary of the situation, A-Team. Should we expect cooling (or less warming) as a cause of this prolonged eruption, with all the SO₂? We may not see cooling due to this eruption, not even less warming. This is an eruption with very low exlosive level. The plume does not reach necessary hights for SO2 to stay longer in the atmosphere. The SO2 will be washed out by rain nearly directly. For your explanation, there are very different kinds of volcanic eruptions. If you think about Pinatubo, this has been a huge and explosive eruption with a plume that reached far up into the strtosphere, injecting SO2 into heights where it could not rain down, thus cooling the climate. Pinatubos Magma was rich in silica, water, CO2 and SO2, making an explosive mixture. Its source was, like nearly all volcanoes in the region, melting of subducted material, waterrich sediments, oceanic crust etc. Iceland is very different. Here you have Magma from far deeper with totally different chemical composition, much less water and CO2, but more SO2. Erupting these magmas generates much less explosive eruptions and the SO2 will not stay long in the atmosphere. Often it will not even reach some kilometer high but stay near the surface, poisoning icelanders and quickly dissoluting in the rain....which obviously becomes acidic. Right on all counts, FK. Sulfur dioxide -> sulfurous acid -> sulfuric acid gets most of the attention but HF hydrofluoric acid is also being produced in quantity, as is some HNO3 nitric acid. Despite this all shortly ending up in the sea, I don't imagine it will contribute quantitatively to ongoing ocean acidification from soaring carbon dioxide. After reading up on Iceland's devastating Laki eruption of 1783, the Great London Smog of 1952 (and 1962), and acid rain n the US (Ohio coal plants to Adirondack lakes), I was surprised to see plants have come back at the Laki central fissure (image below). Admittedly it is 231 years later on a rainy site. We've previously discussed attribution of previous volcanic eruptions to the Greenland ice core record, usually from isotope ratios in combination with historical accounts. This event will not result in substantial deposition in Greenland relative to background as things are going. Meanwhile, down in Antarctica, a 6 July 14 paper in Nature Climate Change reported sulfate concentrations in 26 ice cores from 19 different locations for last 2,000 years. Those eruptions with a global distribution synchronize with independently dated sulfate peaks in Greenland ice cores. They identified 116 volcanic eruptions over this time frame including Tambora in 1815, Kuwae in 1458 and Samalas in 1257. The 13th century events may have triggered the epic drought in the American Southwest; the Little Ice Age is also commonly attributed to these sulfate aerosols. Not all eruptions had counterparts in Greenland's ice cores but that is being re-visited on firn cores with Reno's continuous flow melt apparatus. These global injections of SO2 into the stratosphere -- and attendant planet-scale cooling -- come from tropical volcanoes rather than those at high latitudes. The key experimental point here is that measurement at 19 core locations provides a whole lot better quantitative picture than one location (eg Epica dome). Here it turned out that Kuwae and Samalas deposited a third less sulfate in Antarctica than previously estimated, implying a weaker cooling effect on global climate than previously thought, with implications for tuning climate sensitivity models. The list below gives the top 10 sulfate deposition events found in the ice cores. Note the immense Laki eruption is only 8th largest, meaning the current non-stratospheric eruption is not noteworthy even on this sub-Holocene time scale. Even the top 10 may not be that special given 116 x 10 = ~1160 major sulfate injections since the Last Glacial Maximum or scaling to post-Eemian events, 1160 x 6 = ~6960, very few of which could have account for Greenland interior ice radar horizons as these only number ~100. I was surprised to see plants have come back at the Laki central fissure (image below). Admittedly it is 231 years later on a rainy site. I guess the moss has really shallow roots and can live mostly anywhere provided enough rain (even on top of dead moss due to acid levels). The spores are everywhere and abundant, so really not that surprising in this climate. BTW, thanks for the great info on The Little Ice Age and volcanic deposits in ice shelves. According to EPOD, it's Woolly Fringe Moss, which can grow on top of dry stone walls (pdf), so is probably a good candidate for early regrowth. That video truly was amazing, Clare! That link describes quite a remarkable notion, that off-loading of ice during times of climate warming leads to increased seismic activity in Iceland, which as the 3 new geochronology articles (what's new forum) show, then leads to more radar isochrons establishing over in Greenland. Conversely, off-loading of sea water during times of glacial build-up, leads to oceanic ridge eruptions tied to Milankovitch cycles underpinning the ice age. At the last great end-Holocene melt 12,000 years ago, volcanic activity on Iceland was up to 50 times greater than the activity observed over the past century ... Both studies reinforce the idea that the wholesale redistribution of water that accompanies major climate change elicits a significant response from the solid earth in the form of earthquakes and volcanic eruptions.We saw this very dramatically at the end of the last ice age, and we are seeing it again today in Iceland and elsewhere. The two journal articles are at http://tinyurl.com/kt9fpkw and http://tinyurl.com/p25glju -- both firewalled but possibly available somewhere else. continents. This mass redistribution translates to sea-level variations of 100 m and modifies the lithostatic pressure beneath the entire ocean. Because mantle melting beneath ridges is driven by depressurization, ocean ridge volcanism should respond to sea-level changes, potentially leading to changes in the thickness and elevation of ocean crust. Plate spreading at mid-ocean ridges draws mantle flow upward beneath the ridge; rising parcels of mantle experience decreasing pressure and hence decreasing melting point, causing partial melting. Mantle upwelling rates are about 3 cm/yr on average, while sea level change during the last deglaciation was at a mean rate of 1 cm/yr over 10,000 years. associated with upwelling by 10%, with corresponding effects on the rate of melt production. 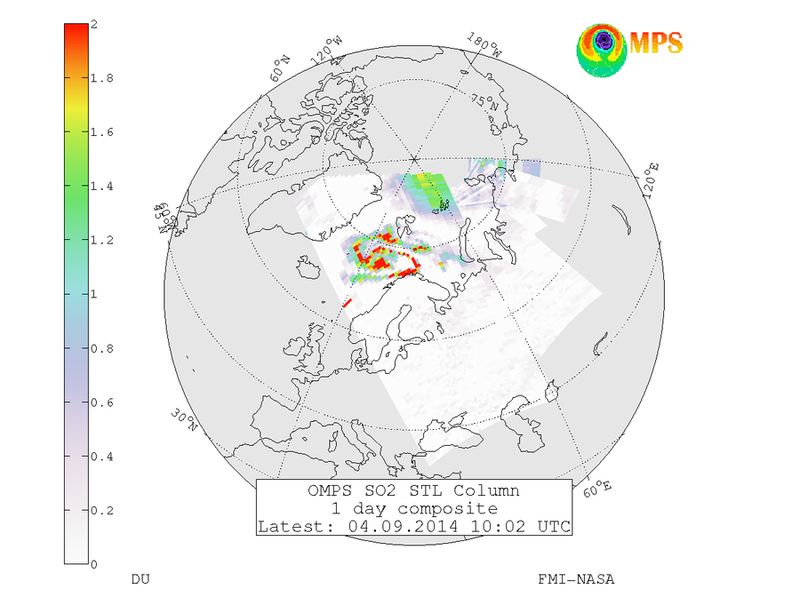 The Icelandic Met Office warned that a small eruption had taken place under the Dyngjujokull ice cap. Seismic activity is continuing at the Bardarbunga volcano, about 30km away. Airspace over the site has been closed, but all Icelandic airports currently remain open, authorities say. A Europe-wide alert has also been upgraded. European air safety agency Eurocontrol said it would produce a forecast of likely ash behaviour every six hours. Iceland's Eyjafjallajokull volcano erupted in 2010, producing ash that severely disrupted air travel. The red alert is the highest warning on the country's five-point scale. The Icelandic Met Office said a team of scientists was flying across the region on Saturday afternoon to monitor seismic activity. "The eruption is considered a minor event at this point," police said in a statement. "Because of pressure from the glacier cap, it is uncertain whether the eruption will stay sub-glacial or not." The Met Office later issued an update saying that tremor levels had decreased during the afternoon but that earthquake activity was continuing. Virgin Atlantic said it had rerouted a flight from London to San Francisco away from the volcano as a precautionary measure. It said its other flights "continue to operate as normal". British Airways said it was keeping the situation "under close observation", but that its flights were continuing to operate normally for now. The UK Civil Aviation Authority (CAA) said there would be no impact on flights unless there was an actual eruption. Bardarbunga and Dyngjujokull are part of a large volcano system hidden beneath the 500-metre (0.31-mile) thick Vatnajokull glacier in central Iceland. Authorities have previously warned that any eruption could result in flooding north of the glacier. On Wednesday, authorities evacuated several hundred people from the area over fears of an eruption. The region, located more than 300km (190 miles) from the capital Reykjavik, has no permanent residents but sits within a national park popular with tourists. The move came after geologists reported that about 300 earthquakes had been detected in the area since midnight on Tuesday. The Eyjafjallajokull eruption in April 2010 caused the largest closure of European airspace since World War Two, with losses estimated at between 1.5bn and 2.5bn euros (£1.3-2.2bn). Criticism following the strictly enforced shutdown resulted in the CAA relaxing its rules to allow planes to fly in areas with a low density of volcanic ash. The eruption was declared finished on 28th of february , only once did I smell something in the air here in SW-Finland. The rest of the post is OT. Imagine there are two compounds forming an aggregate in these relations. Deduce the distributions of partial charges across the molecules in the aggregate. What would you expect happens to the melting point of these solids due their different structural symmentry? How would this aggregate effect the partial charges in nearby molecules in a) ice that has fallen on top of them, b) ice that is under them? How long does it take for the aggregate to traverse a piece of not too solid multi-year ice on arctic ocean? How would this aggregate effect the radiative transfer in the described ice ? Did I post this one somewhere here already? Just overlayed two images from webcam of Mila sometime last fall.